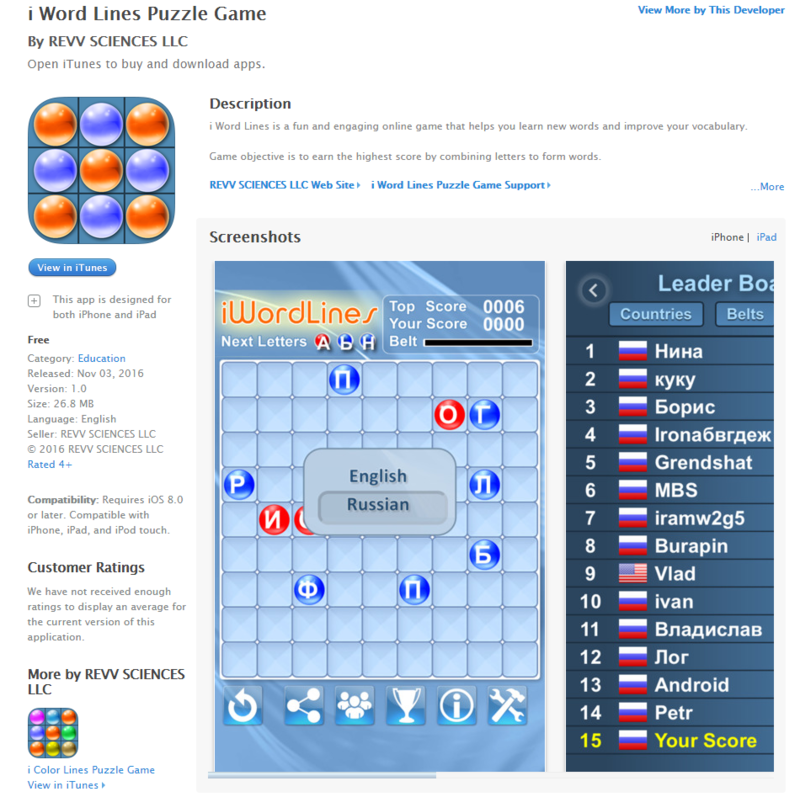 i Word Lines Puzzle Game iPhone app is available on the App Store. 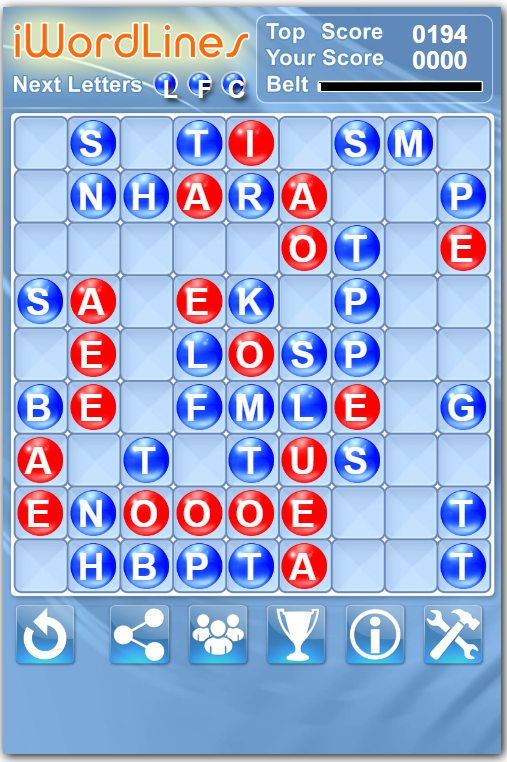 Playing word puzzles can increase vocabulary and enhance problem solving skills. 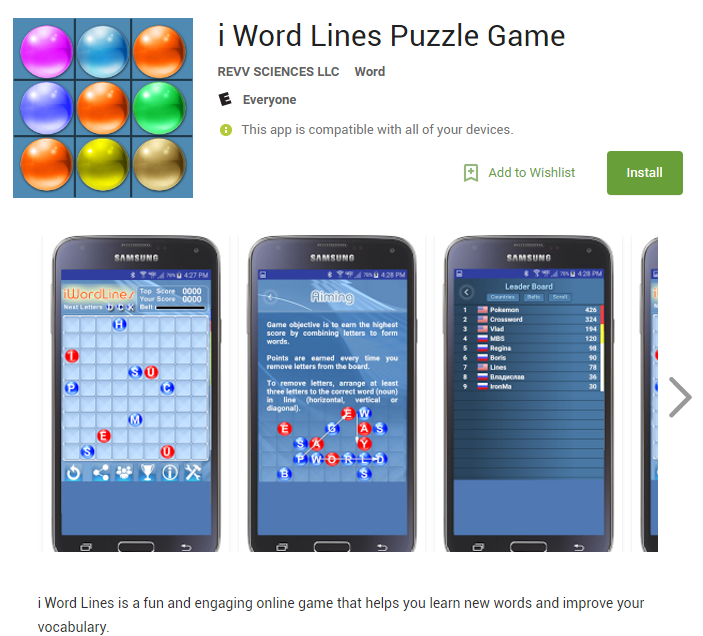 I Word Lines Puzzle Game Android App is available on Google Play! 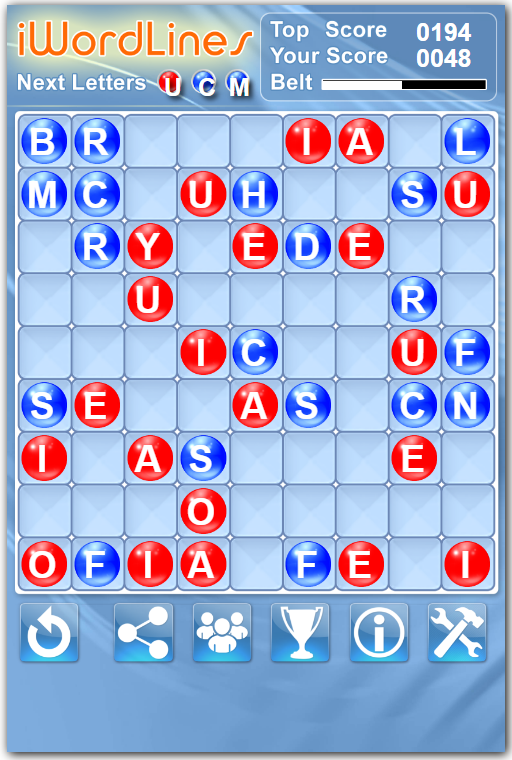 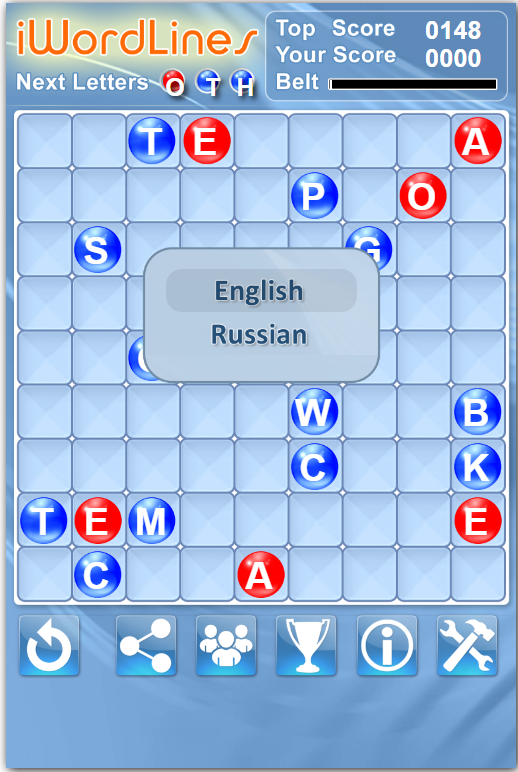 Game objective is to earn the highest score by lining up letters into words.